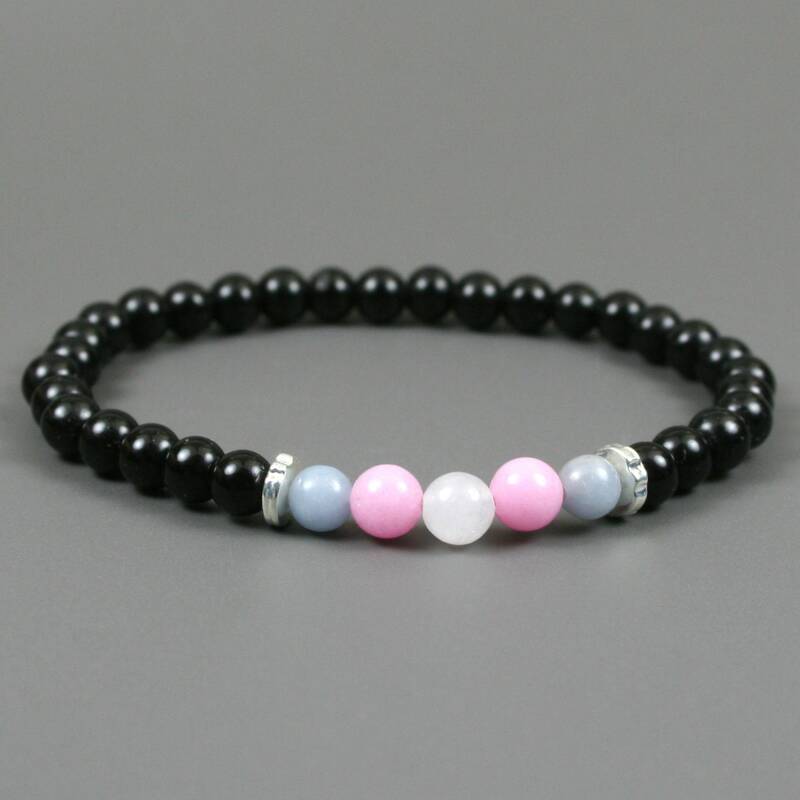 This bracelet is made from a set of 6 mm blue angelite, pink dolomite, and snow quartz beads in the transgender pride flag pattern across the front and 6 mm round obsidian beads along the back with rough silver plated spacers separating them. 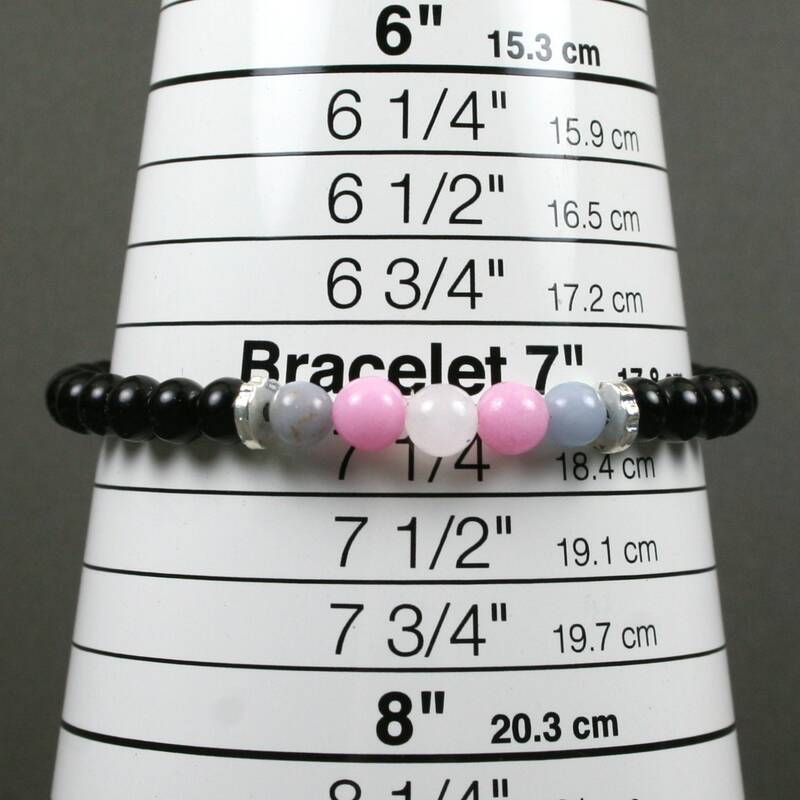 As shown, it is sized to an inner circumference measurement of about 7 inches where it touches the wrist (see image 4). 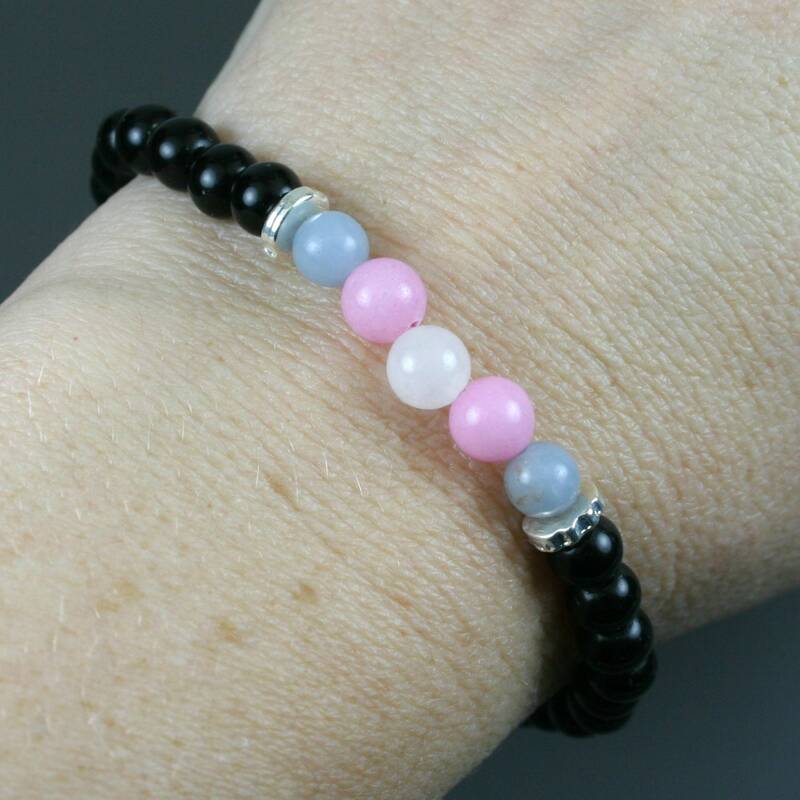 The size can easily be adjusted with the addition or subtraction of obsidian beads from the back section for no extra charge. If you need a different size, leave a note with the size you desire in the comments area of your order, and I will re-size it for you prior to shipping.